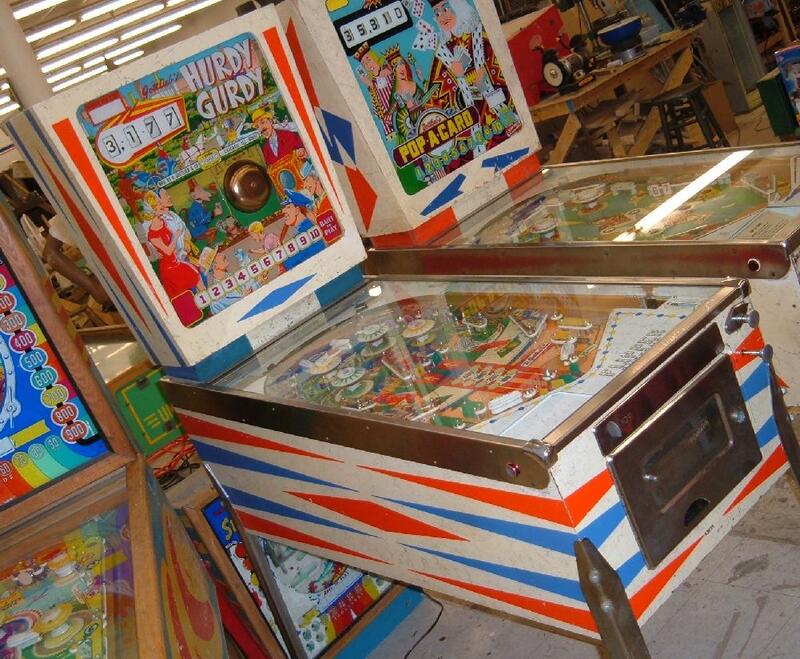 Description: Hurdy Gurdy, 5/66, 3186 produced, Add-a-Ball version of Central Park (4/66), backbox mechanical animation (monkey ringing bell). 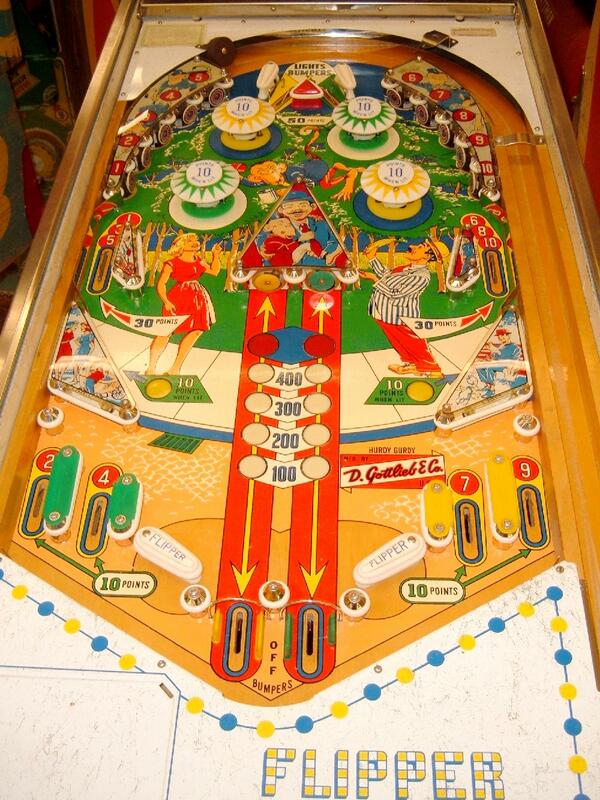 Central Park and Hurdy Gurdy are the exact same game, except Central Park awards free games, and Hurdy Gurdy awards extra balls. 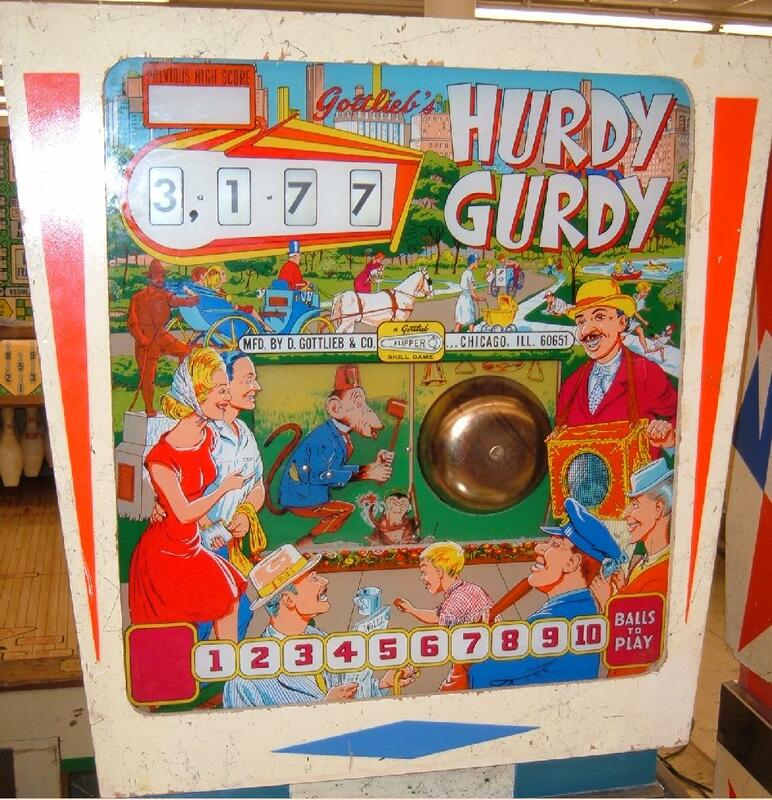 The object of Gottlieb Hurdy Gurdy is to hit all the numbered targets. Doing this completes the add-a-ball sequence, and gives the player another ball. Also if the center yellow/green targets have both lights on the same row (the lights move with any 1 point score), the red lights go on. If the center target is hit, this will give a free ball too. The author's Gottlieb Hurdy Gurdy.